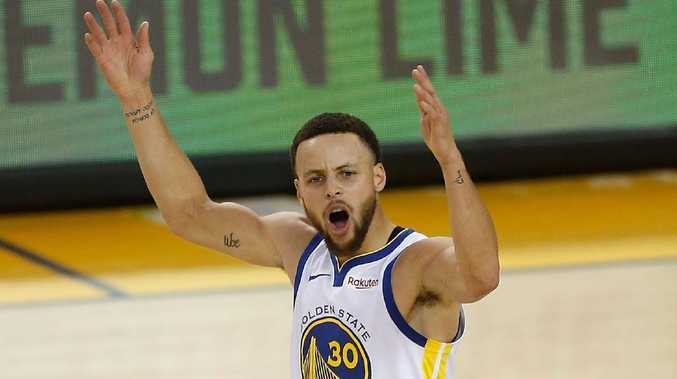 THE LA Clippers have pulled off the biggest upset in NBA playoff history by overwhelming the defending champion Golden State Warriors in game two of their series. Starting Warriors centre DeMarcus Cousins injured his left quadriceps muscle in the first quarter and was done for the night, with fears the injury could put out of the remainder of the playoffs. Golden State looked set to push their series lead to 2-0 when they led 94-63 midway through the third quarter, but it all went pear-shaped from there. The Clippers scored an astonishing 72 points over the final 19 minutes to erase the 31-point deficit and record the largest comeback victory in playoff history. The 135-131 victory levels the series at one win apiece with game three set for Friday at 12.30pm (AEST) back in Los Angeles. Basketball fans and social media couldn't believe the scenes they were watching unfold as the Warriors simply fell apart down the stretch. The historic comeback was fuelled by the Clippers' dynamic bench duo of Montrezl Harrell and Lou Williams. Williams ended the contest with a game-high 36 points and continually torched the Warriors' defensive structures in the final term. He added 11 assists to go along with his scoring output, and Harrell recorded a perfect 9-9 shooting from the floor and knocked down the sealing free throws to put the game beyond the Warriors' reach. Starting rookie guard Landry Shamet was the ultimate hero as he buried the go-ahead three-pointer late in the game to put the Clippers ahead 133-131. ESPN news-breaker Adrian Wojnarowski reported there was serious concern surrounding the true extent of Cousins' quad injury, with the big man set to undergo an MRI on Wednesday. Warriors superstar Steph Curry led the way for his team, ending with 29 points. But nobody will remember the performance of the Warriors. Instead the focus will turn to the defensive structures that simply fell apart when the Clippers' offensive surge took hold.